Gradient has comprehensive expertise in all elements of safety data sheet (SDS) production including chemical- and product-level hazard assessment, chemical disclosure analysis, Hazardous Materials/Dangerous Goods transportation classification, and jurisdictional alignment strategies for global chemical compliance across markets. This approach includes complete service integration, from product evaluation and classification to final SDS publication, bringing together our chemists, toxicologists, and regulatory compliance experts in a collaborative process. Our expertise in toxicology and GHS allows us to provide reliable and defensible hazard classifications. This work is supported by the development of a comprehensive hazard information database used to document and track component-level conclusions, calculate product-level classifications, and identify necessary ingredient disclosures across jurisdictions. Our staff has undergone certification in the classification of hazardous materials for transport in accordance with the US Department of Transportation (DOT), International Civil Aviation Organization (ICAO) and the International Maritime Dangerous Goods (IMDG) Code. Gradient is also able to conduct audits for pre-existing SDSs to ensure that they are compliant based on the most up-to-date hazard data and regulatory guidelines. Gross, AG. 2017. "Aligning Safety Data Sheet (SDS) Chemical Disclosure Requirements Across a Global Portfolio." Presented at the Society for Chemical Hazard Communication (SCHC) Spring 2017 Meeting, New Orleans, LA, March 25-29. Zhang, J; Pizzurro, DM; Lewis, AS. 2016. 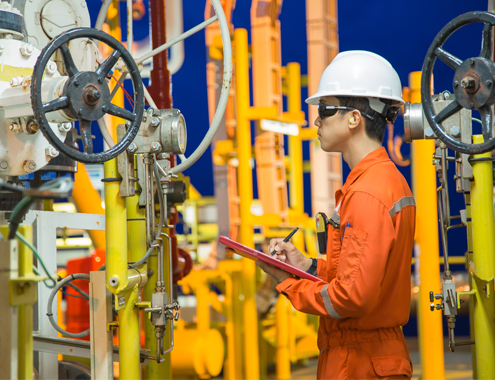 "Understanding WoE Under New OSHA Guidance: Endpoint-by-Endpoint Considerations for Rigorous GHS-Based Hazard Evaluations." Presented at the Society for Chemical Hazard Communication Spring 2016 Meeting, Ft. Lauderdale, FL, April 16-20. Lewis, AS; Zhang, J; Pizzurro, DM. 2016. "Technical and Logistical Challenges in Implementing the Globally (Un)Harmonized System (GHS) of Classification and Labelling of Chemicals." Presented at the Society for Chemical Hazard Communication Spring 2016 Meeting, Ft. Lauderdale, FL, April 16-20. Gradient used a SDS-authoring platform to generate and update over 500 SDSs OSHA-complaint SDSs, as well as those for other jurisdictions around the world (e.g., China, New Zealand, Australia, European Union). In addition, we have generated SDSs without the use of a software program, tailoring the format and approach to the specific needs of the client. Gradient conducted GHS-based hazard assessments for a chemical portfolio consisting of more than 2,000 chemicals used in the formulation of tens of thousands of products. To efficiently complete the task we also developed a comprehensive hazard information database that was used to document and track component-level conclusions, calculate product level classifications, and identify necessary ingredient disclosures across international jurisdictions The hazard assessments were used to update more than 3,000 US and international Safety Data Sheets (SDSs) and labels to meet GHS compliance requirements. Gradient generated a detailed, OSHA-compliant safety data sheet (SDS) for the manufacture and use of a metal in the United States. We performed a comprehensive toxicological and ecological hazard review of the metal and incorporated US-specific regulatory information. In addition to this, we evaluated OSHA and Department of Transportation requirements for classification and recommended testing methods for evaluating dust combustibility. The final product was a detailed and compliant SDS that could be used to convey substance-specific toxicity and risk information for a general public audience. Gradient evaluated SDS Requirements for natural food colorant products according to OSHA 2012 Haz Com Standard. The analysis involved a nuanced interpretation of a product ingredient associated with eye irritation. In addition, Gradient summarized requirements for a Hazard Communication Plan and Worker Training program under OSHA.